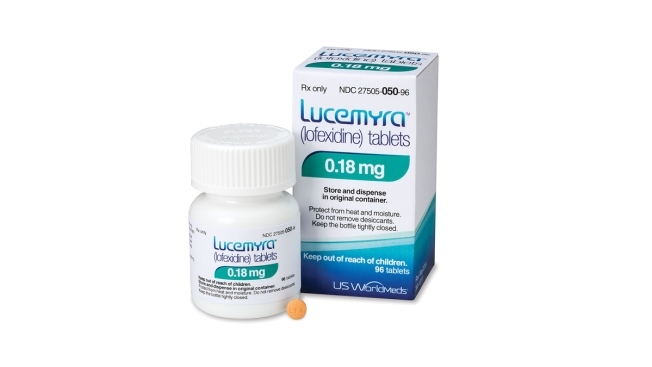 This undated photo provided by US WorldMeds shows Lucemyra. Federal regulators have approved the first nonopioid treatment to ease withdrawal symptoms from quitting opioids. Federal regulators on Wednesday approved the first nonopioid treatment to ease withdrawal from quitting addictive opioids. "The fear of experiencing withdrawal symptoms often prevents those suffering from opioid addiction from seeking help," FDA Commissioner Dr. Scott Gottlieb said in a statement.